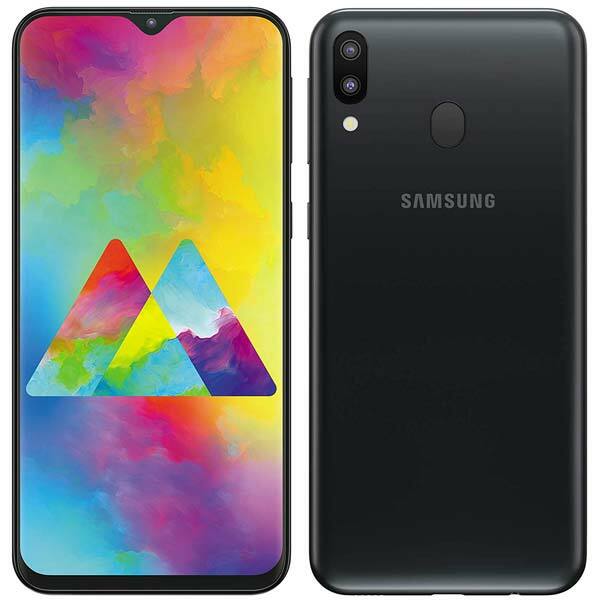 Along with the Galaxy M10, Samsung has also launched its second M-series smartphone Galaxy M20 in India. Even though both devices look almost identical on the front, the Galaxy M20 comes with a slightly bigger display and a different processor. Additionally, M20 includes a rear-mounted fingerprint scanner. The Samsung Galaxy M20 sports a 6.3-inch FullHD+ Infinity-V display and powered by the octa-core Exynos 7904 Processor with a massive 5,000mAh battery that supports 15W fast charging. Samsung has also bundled a 15W charger in the box. Coming to the photography, the Galaxy M20 comes with the same 13MP+5MP dual camera setup which is present on the Galaxy M10 but includes an upgraded 8MP front camera. Its a Dual 4G device supports Dual 4G as well as Dual VoLTE. Out of the box, Galaxy M10 boot on Android 8.1 Oreo with Samsung Experience 9.5 and will receive the latest Android Pie in the coming months. The Galaxy M20 is available in two configurations – 3GB RAM with 32GB Storage and 4GB RAM with 32GB Storage. There is also a dedicated MicroSD slot lets you extend the device storage up to 512GB. 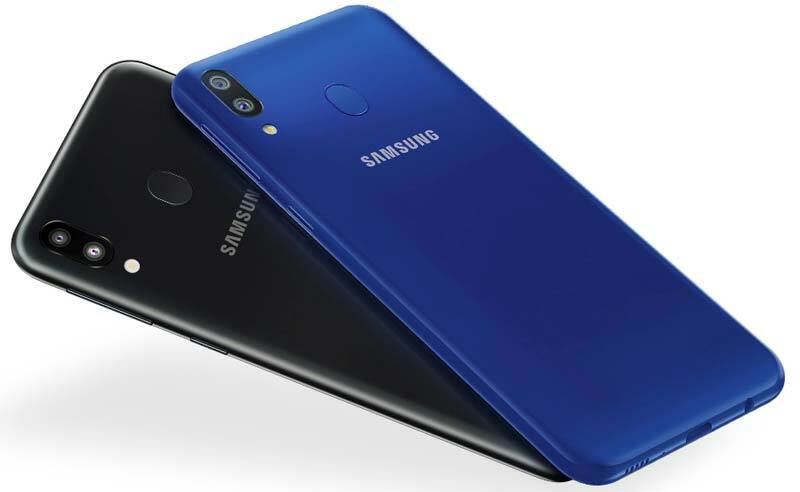 The Samsung Galaxy M20 comes in two colors – Ocean Blue and Charcoal Black and exclusively available via Amazon.in starting 5th February 2019. The 3GB/32GB variant priced at ₹10,990 and the 4GB/64GB at ₹12,990.